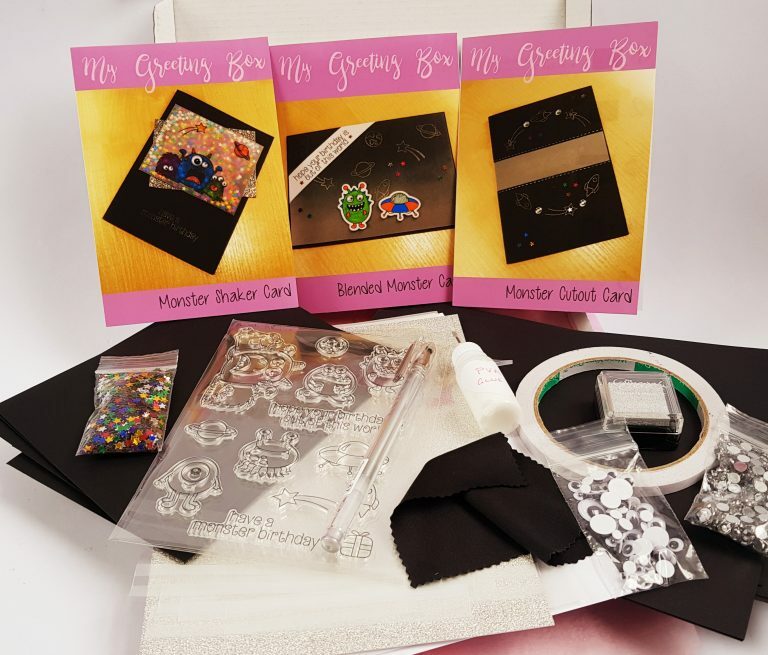 My Greeting Box is a monthly package of card making supplies delivered straight to your door. 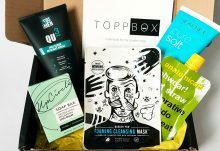 My Greeting Box is the unique mix of an activity box as well as a way to build up your collection of creative materials and tools and learn new techniques to use in your own designs. 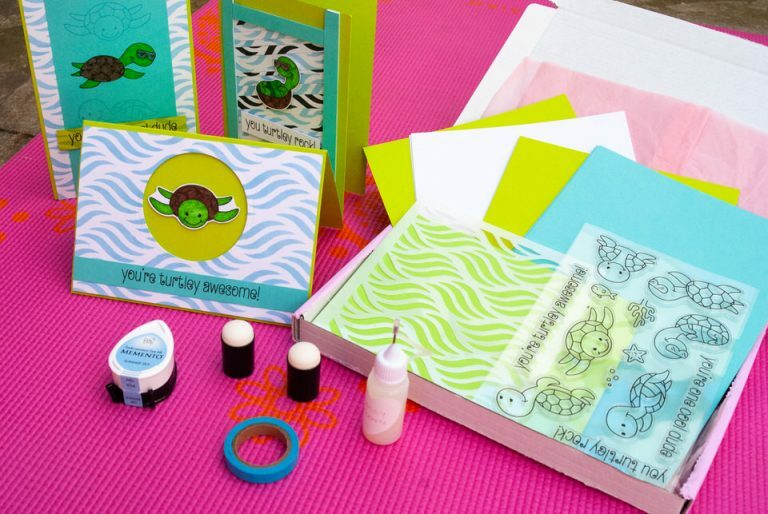 You will get 3 designs to make in each box but enough materials to make 5 cards and have leftover cardstock and other materials that are useful for creating your own designs (whether on cards or scrapbooking or any other project). As well as this you get tools that you will be able to keep forever. 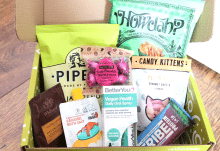 Order before 8th January to get your January box. Keep an eye out on our website and social media for sneak peeks about the theme and card designs! In January you will get three card designs to recreate and materials to make even more cards! The price is £22 per month. This month’s card designs are full of fun! We’re all about space monsters! Look at the great designs. 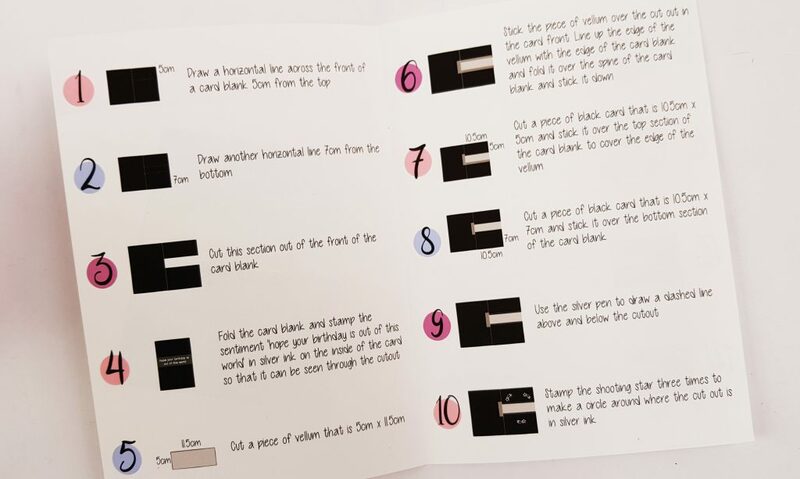 Each card has incredibly detailed and practically idiot-proof instructions. 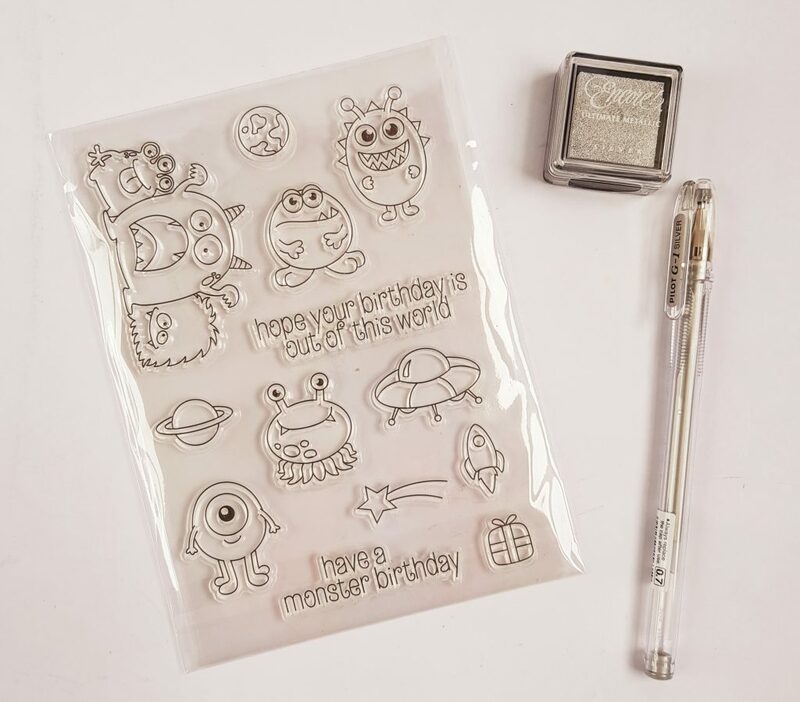 I love these space monster acrylic stamps. The little cartoon figures are adorable! There’s also a silver pen, and even a silver inkpad! 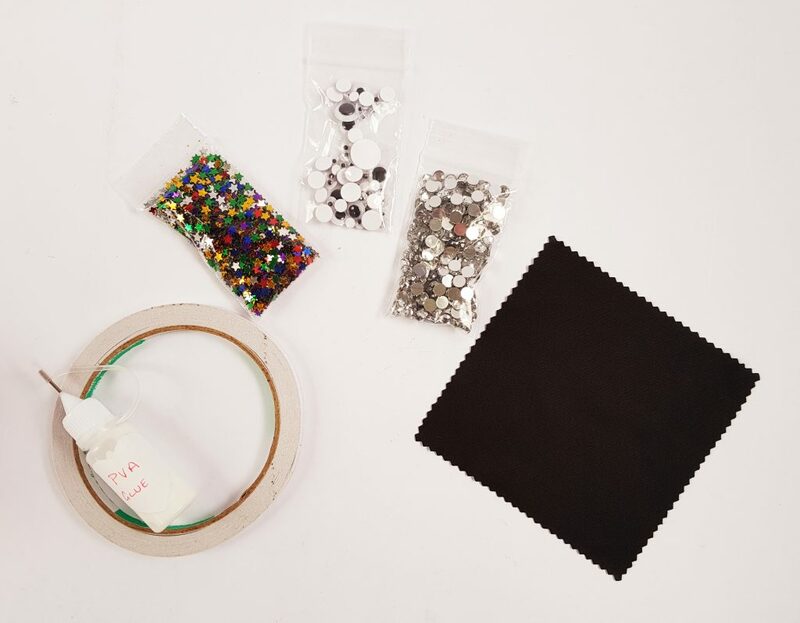 Lots of lovely sparkly things, more glue and double-sided tape, and of course some googly eyes. I wasn’t quite sure what the piece of cloth was for, but one of the designs uses a faded/blending effect with ink, and the cloth is used to create this effect. There’s a great stash of paper, as always, with plenty left over for your own designs. 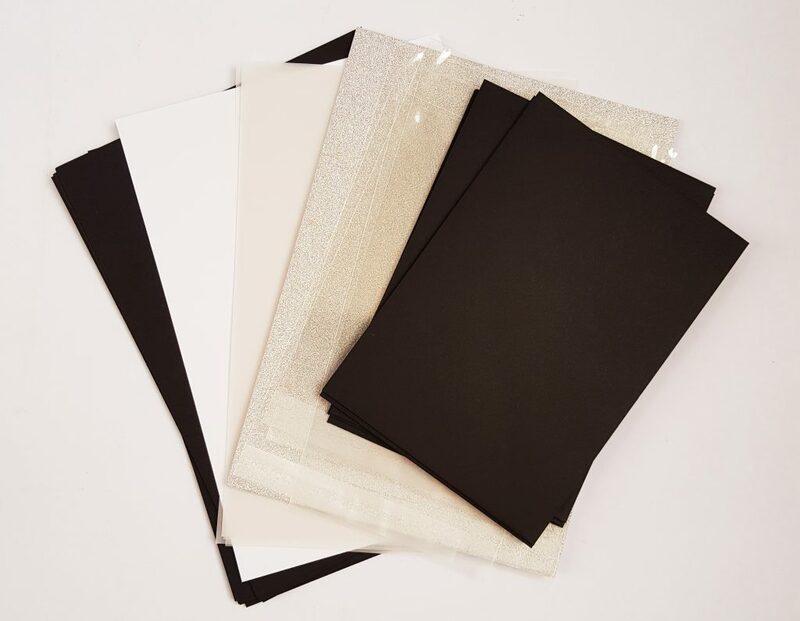 The card blanks and envelopes are all black this month, plus there’s black, white, and silver glitter card. 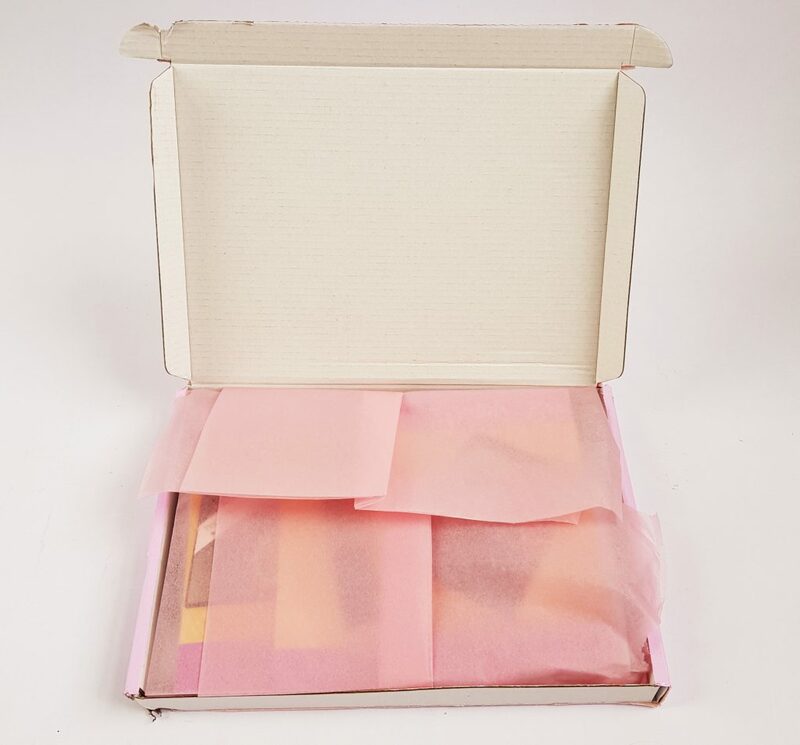 You also get sheets of vellum, plus little clear envelopes for storing the finished cards. I love this month’s designs! They’re so cute and fun, and they will be perfect for the young or the young at heart! I’m very excited about using the silver inkpad, as I’ve never seen this type of ink before. It will also be a lot of fun to be using a black background for a change. As always there is a very generous quantity of paper, card, and decorations. You’ve got enough to make more of these designs or to even try to make your own. I think handmade cards are a gift in themselves, and making them is very satisfying. These cute and humorous space monster designs are a wonderful contrast to last month's beautiful watercolours, and they will be as much fun to receive as to make! 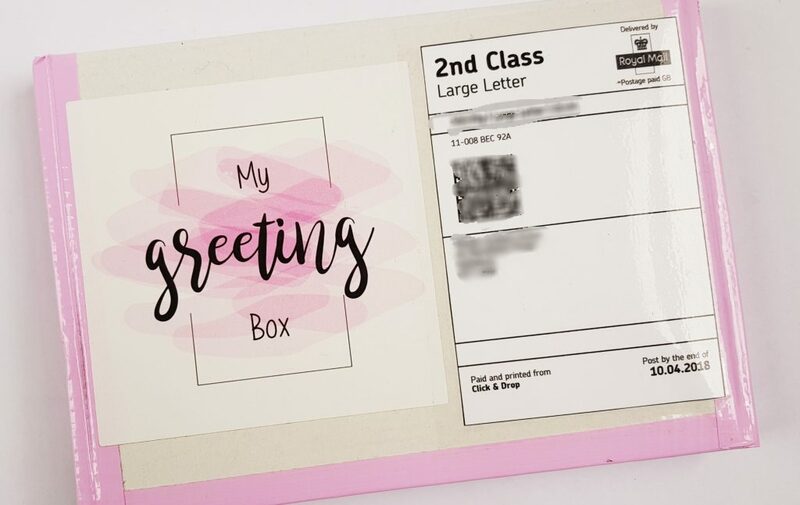 How would you rate My Greeting Box ?